Another year is rapidly coming to a close... our last Home & School meeting of the year is Tuesday, June 9th at 6:30 pm in the staff room. Please join us as we wrap up another busy and successful year at West Royalty School. Click here for an overview of the 2015-2016 school calendar. For your convenience, it is integrated into our H&S Google calendar here, where you can subscribe to add it to the calendar on your computer or cell phone. West Royalty’s Giving Tree is the first thing you see as you come into the main entryway of our school. 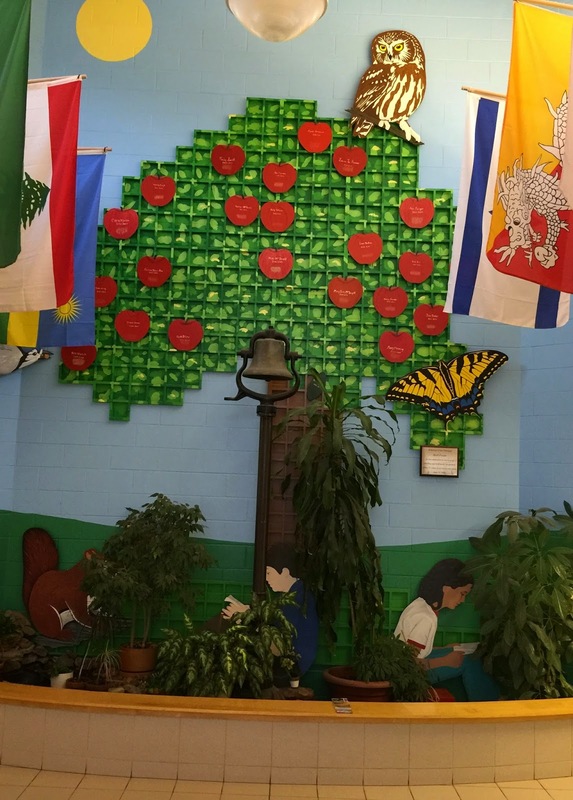 It features the winners of our school community volunteer award, better known as the Red Apple Award. 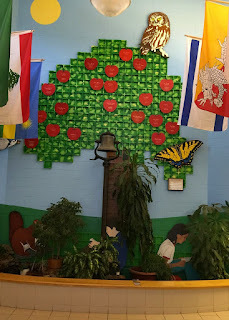 Red Apples are presented annually to one or more parents of the school community who has made an exceptional contribution to the total well-being of children and has demonstrated ongoing service to the school community through their volunteer activities. The award is presented to a parent leaving the school community as a result of relocation or their last child graduating from the school. Click here for more information, including past winners of the award.